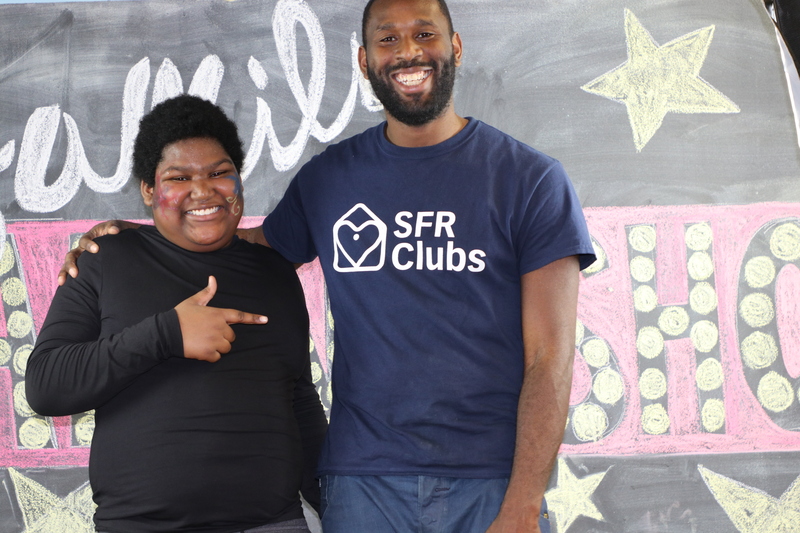 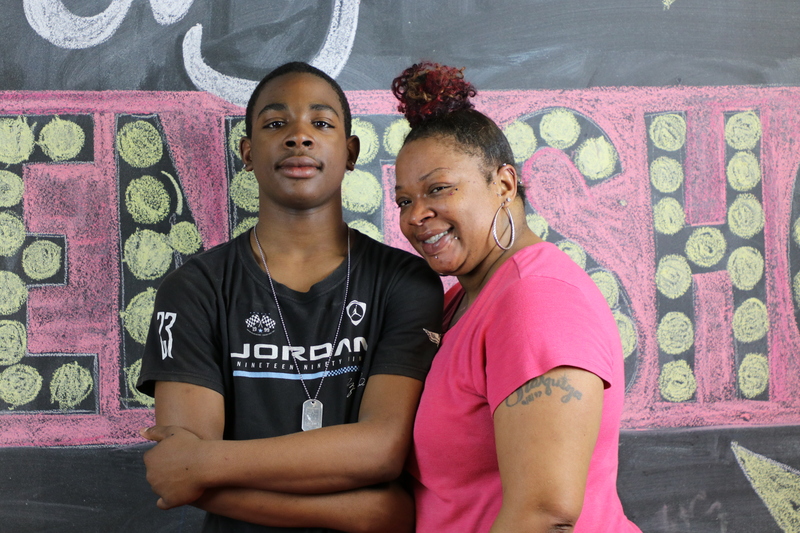 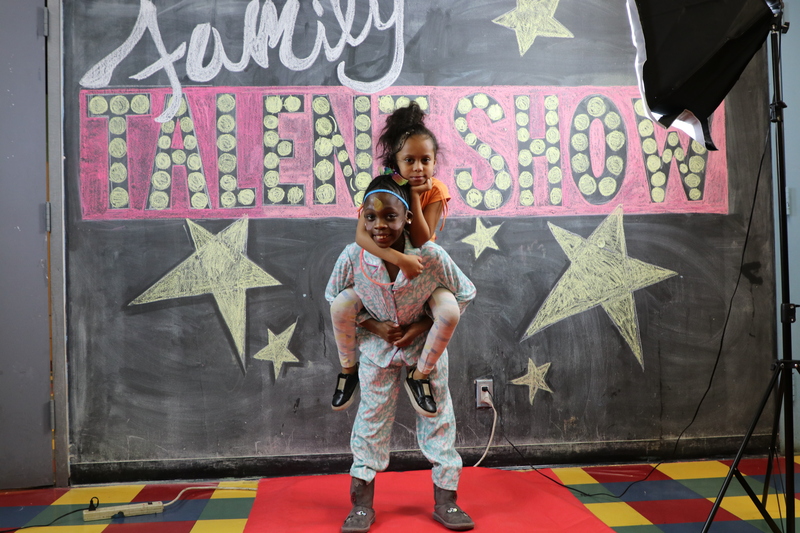 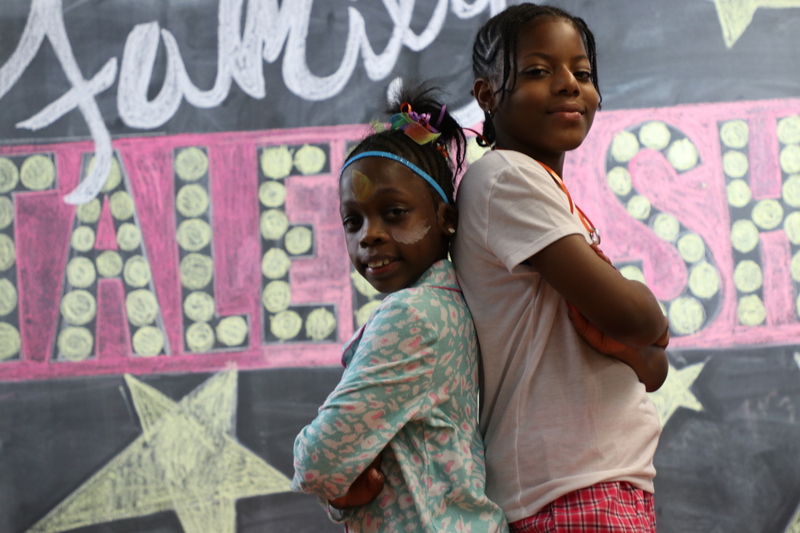 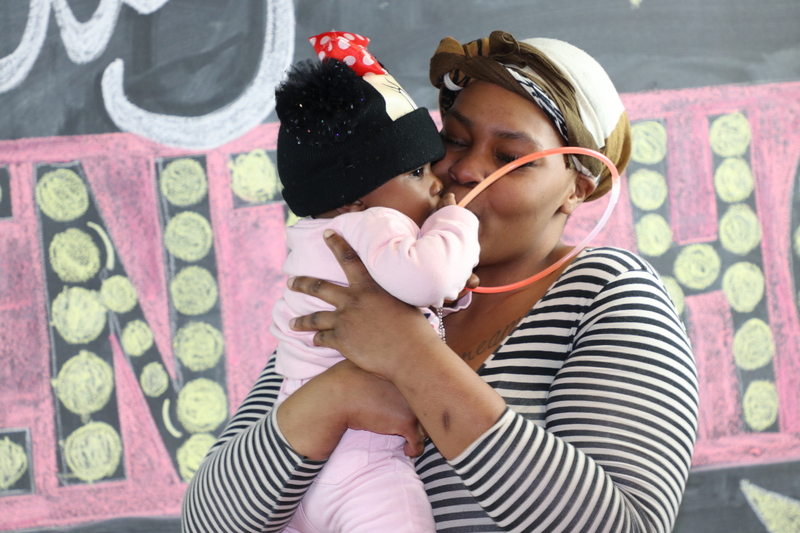 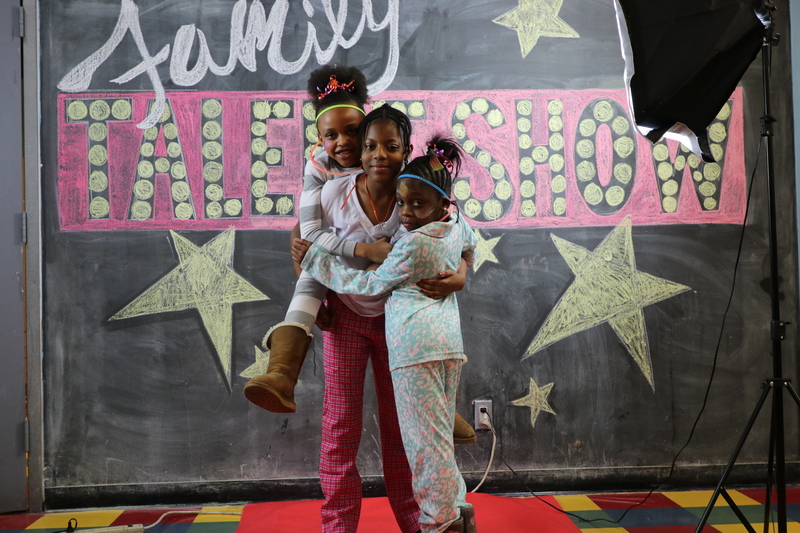 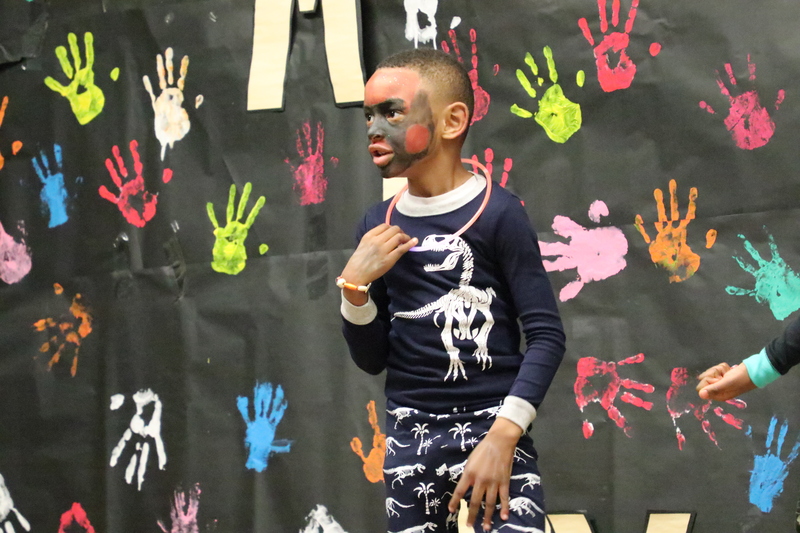 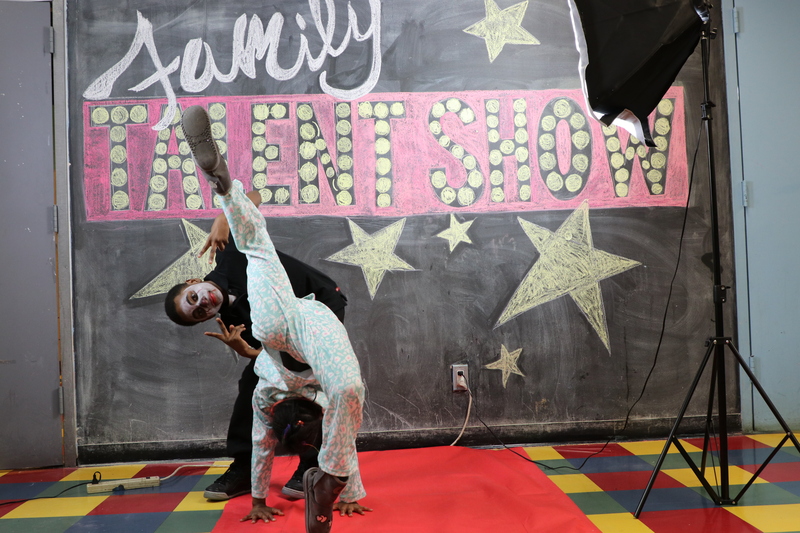 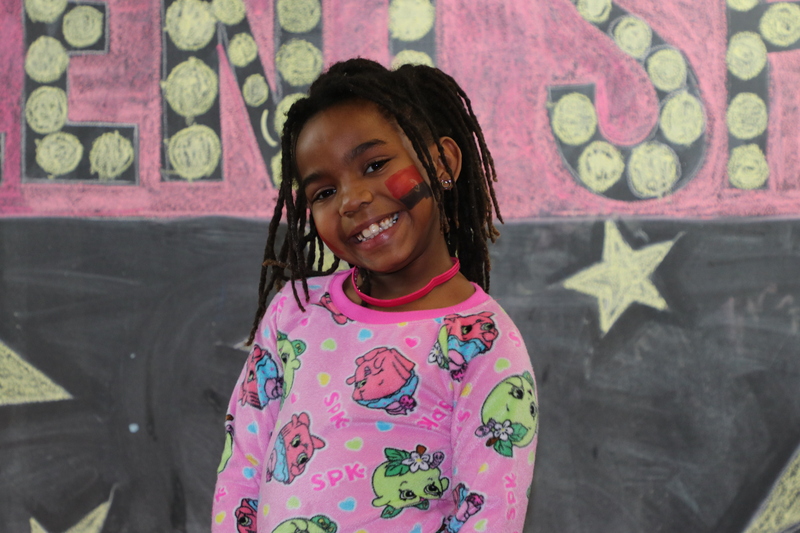 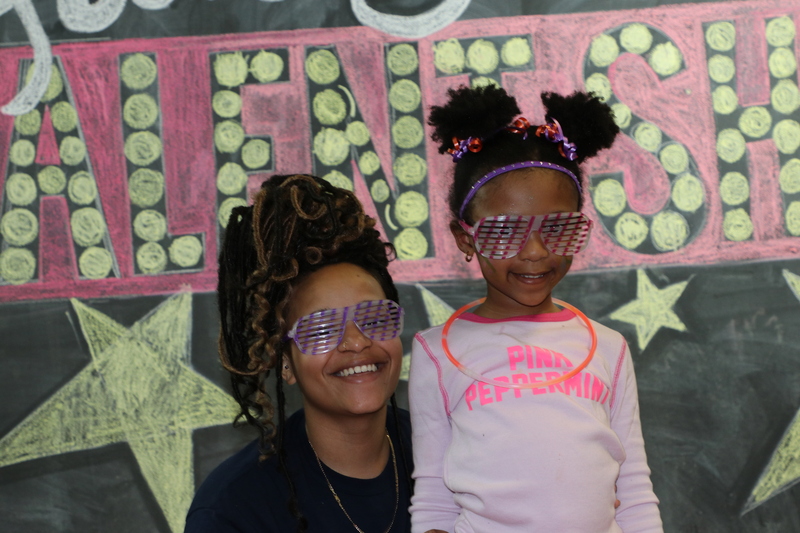 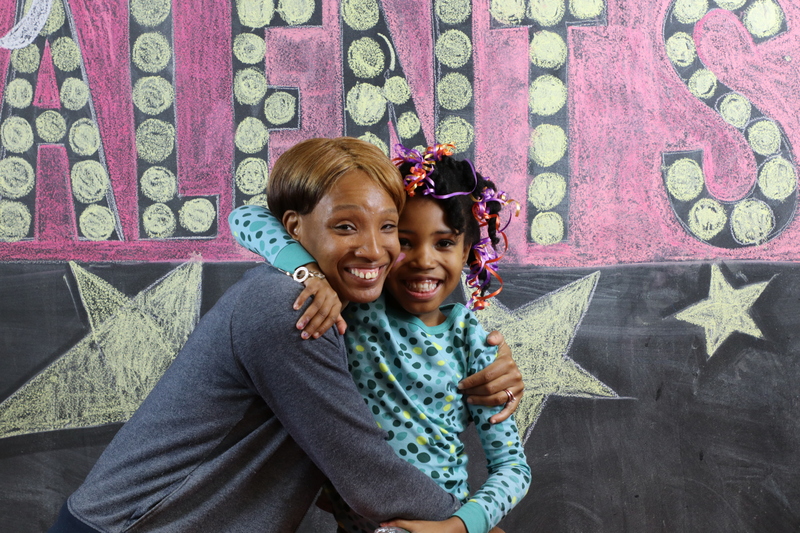 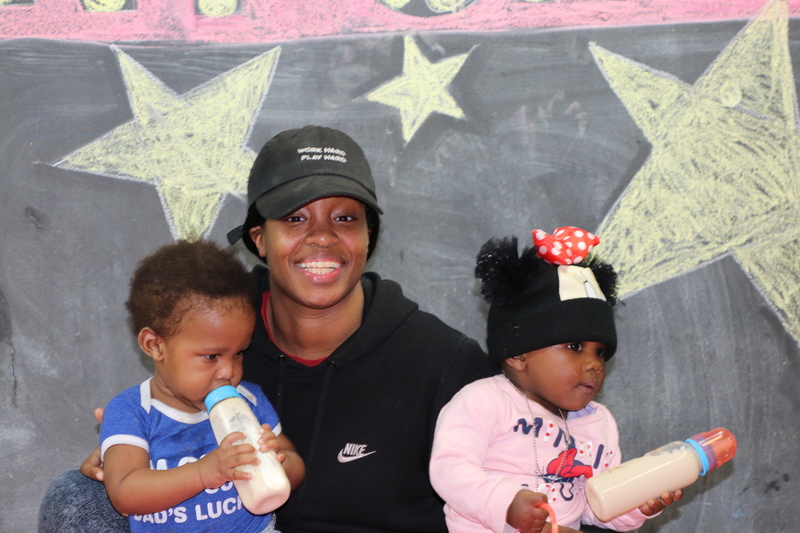 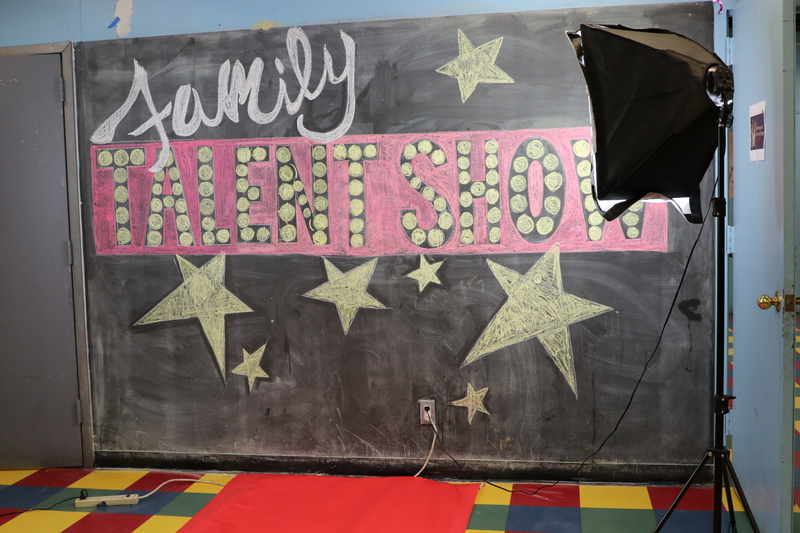 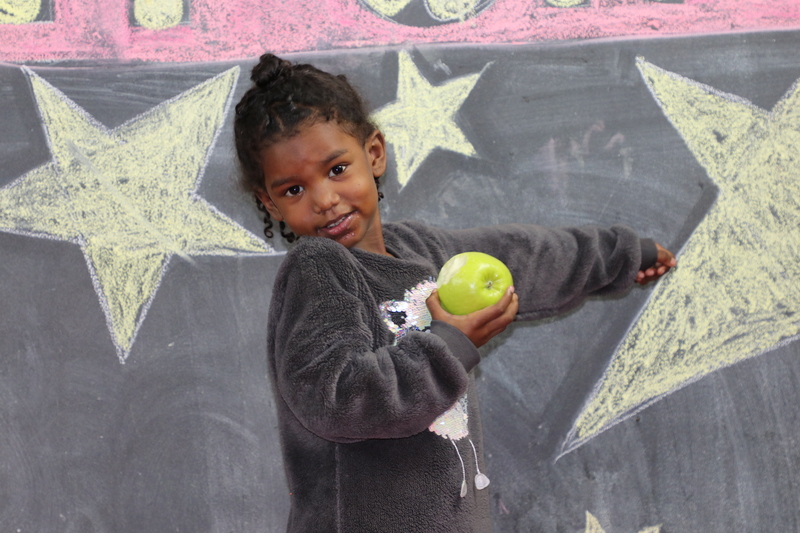 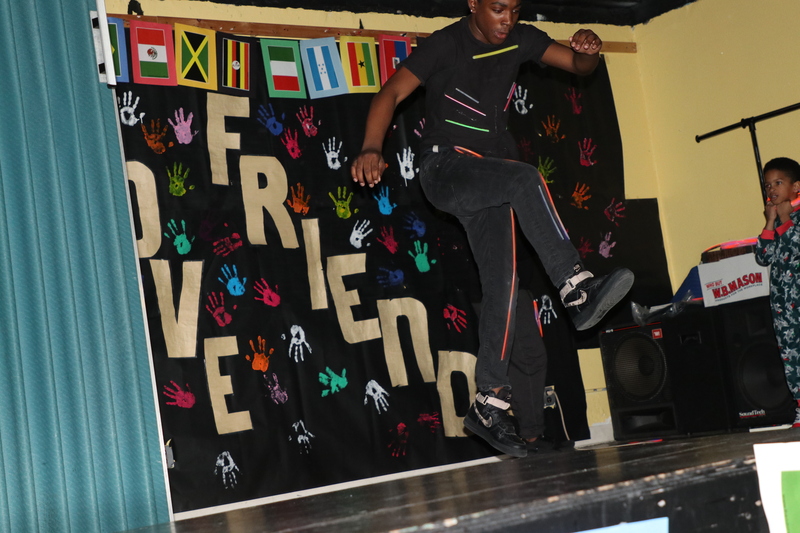 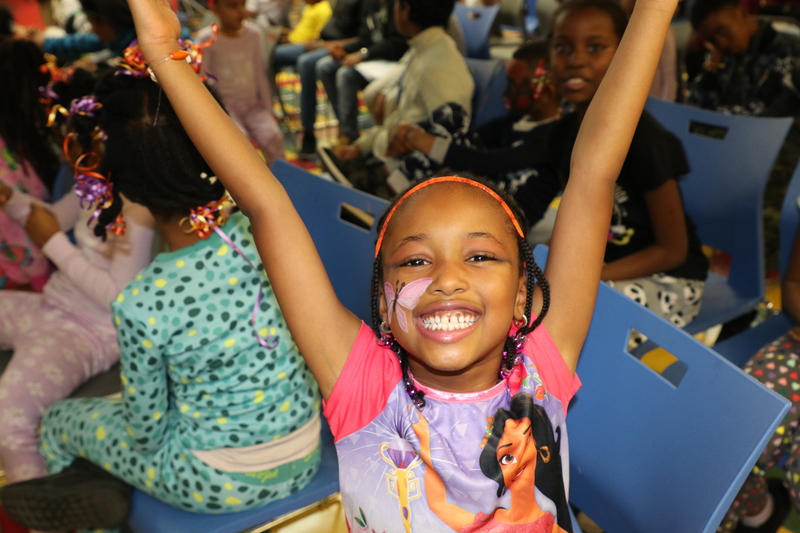 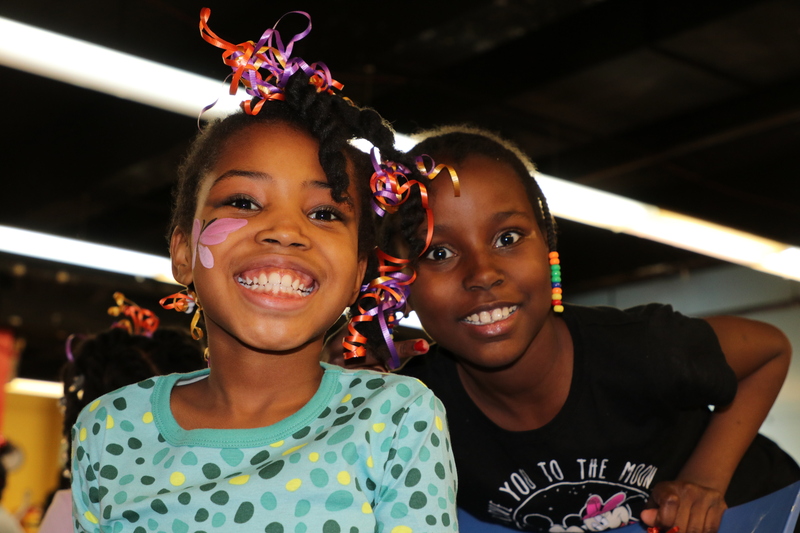 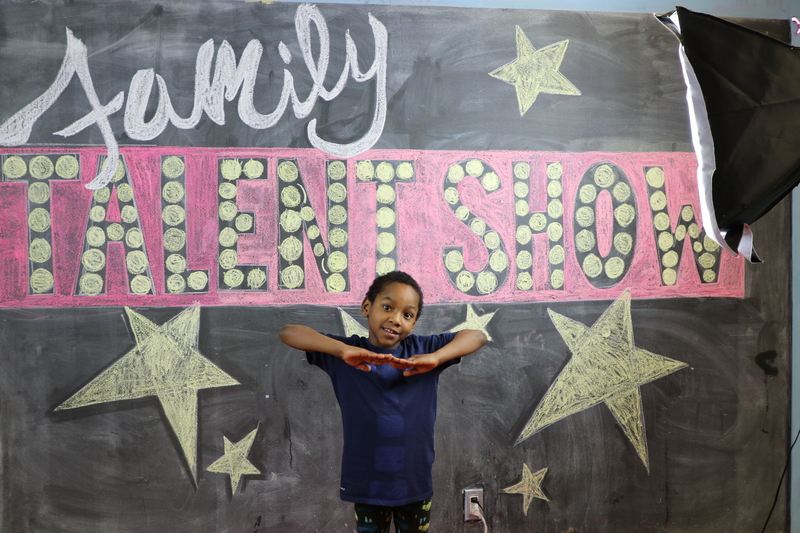 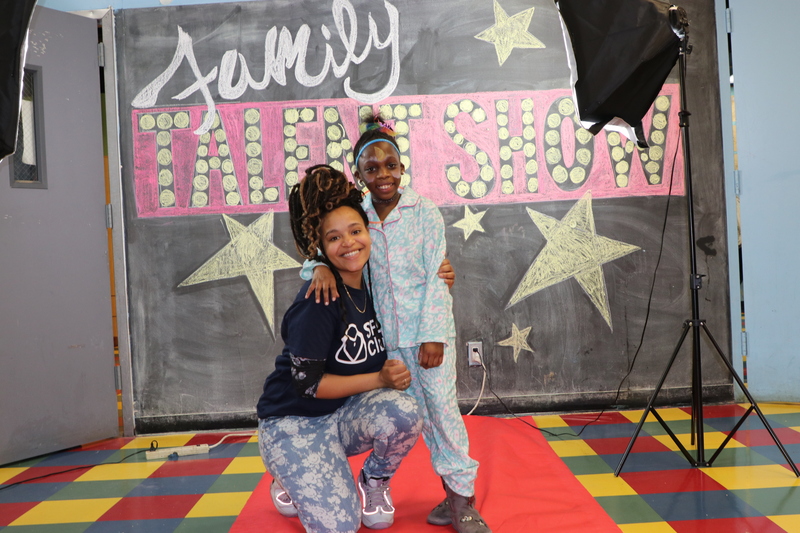 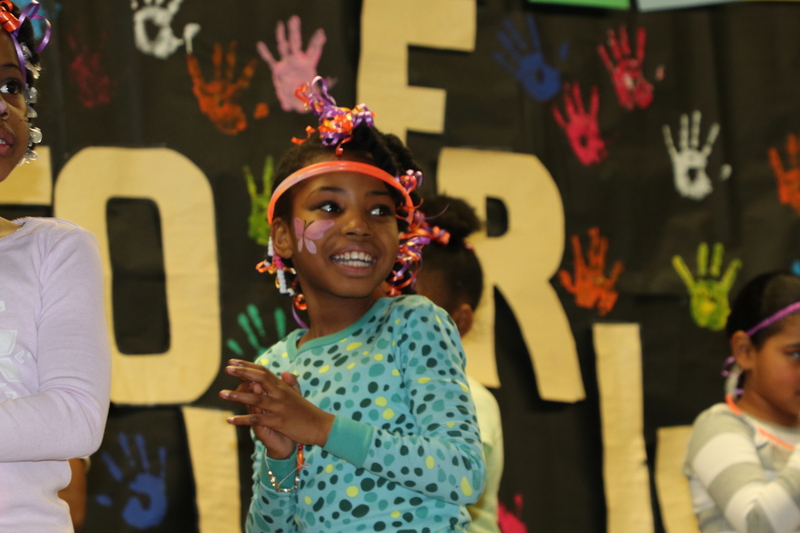 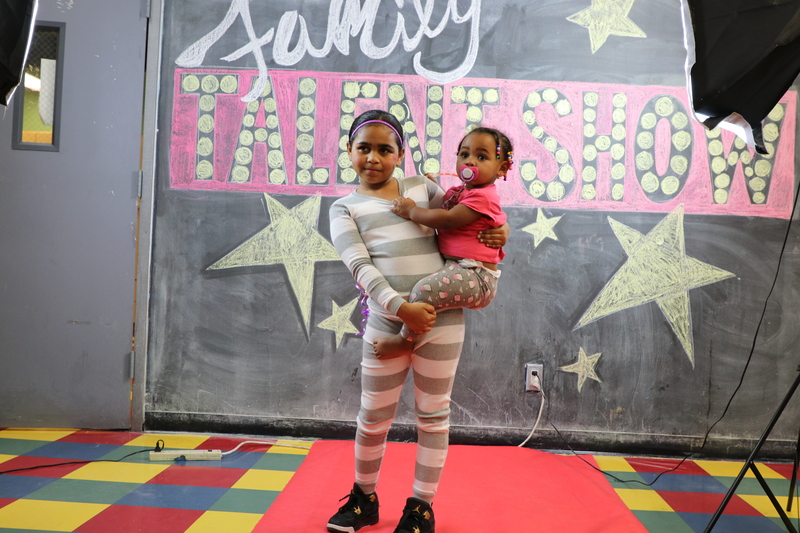 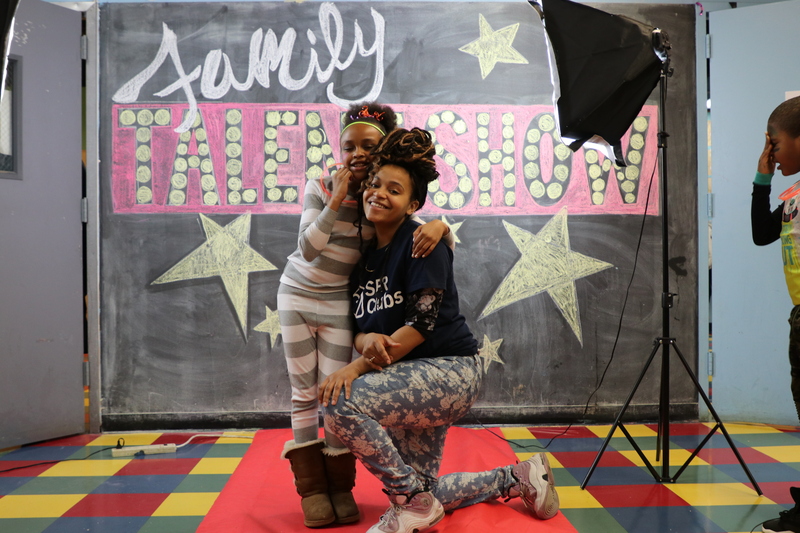 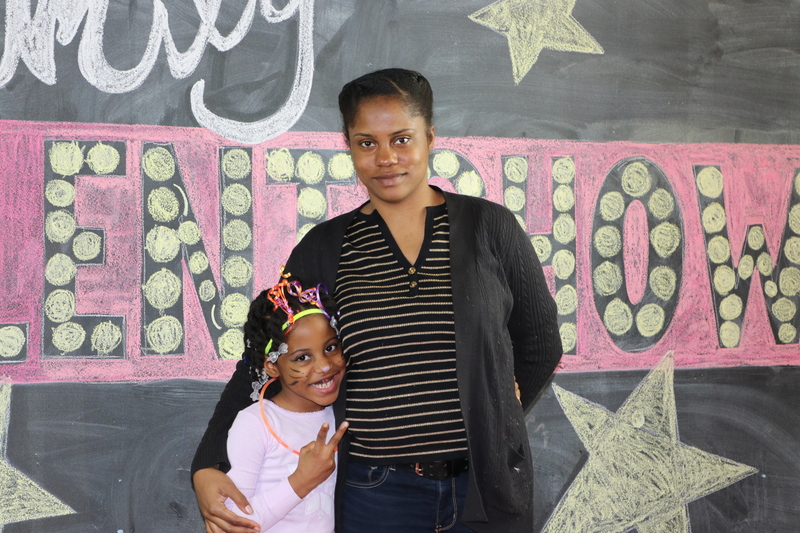 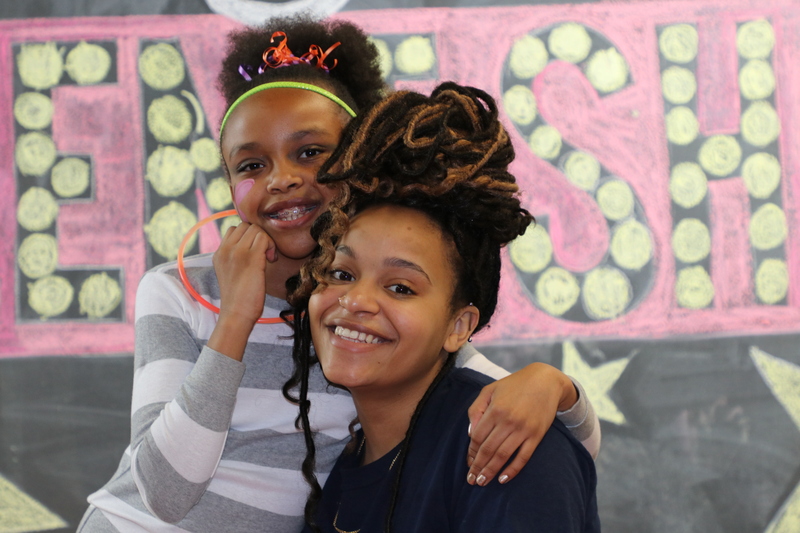 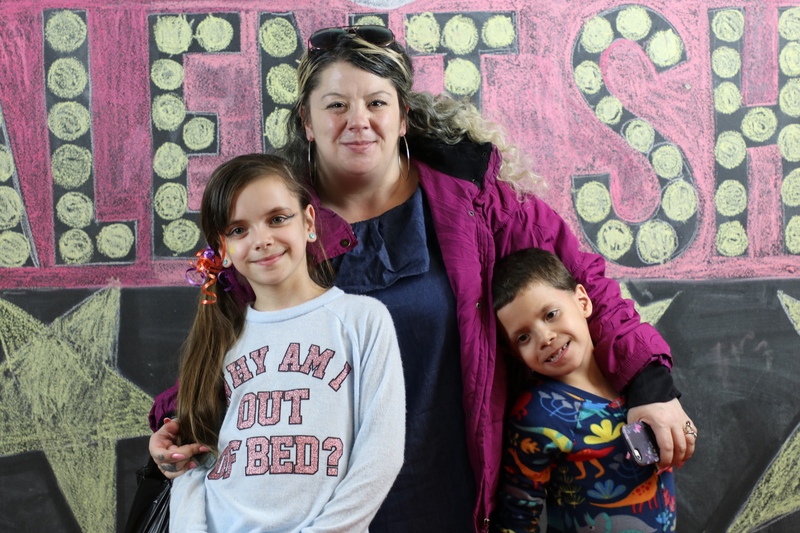 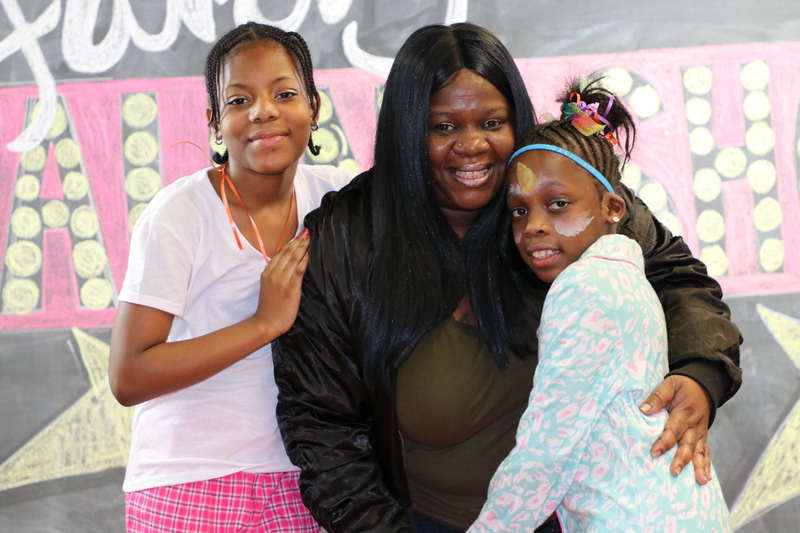 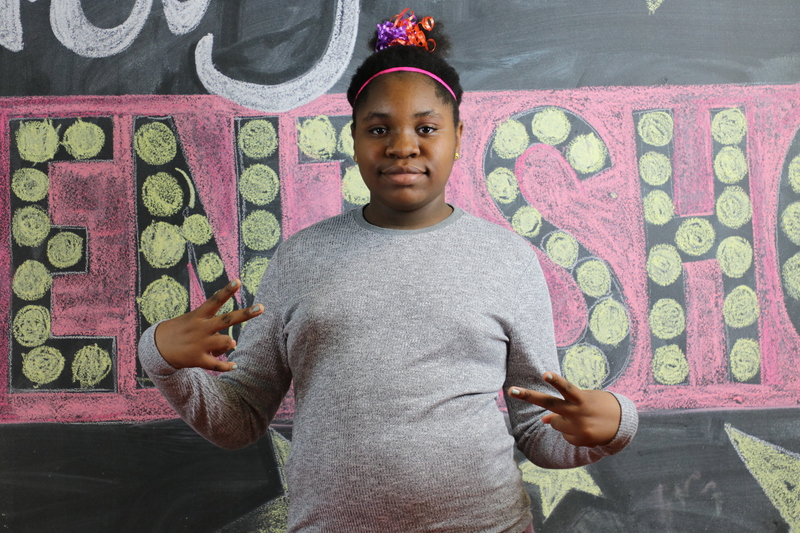 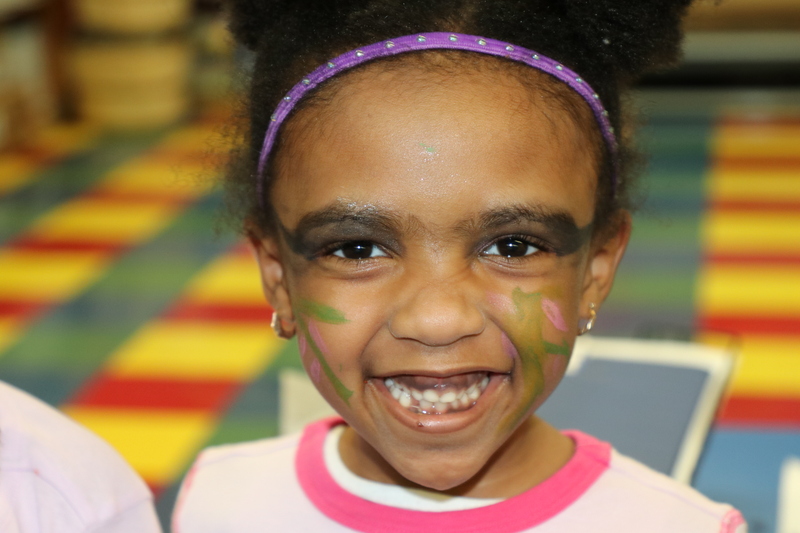 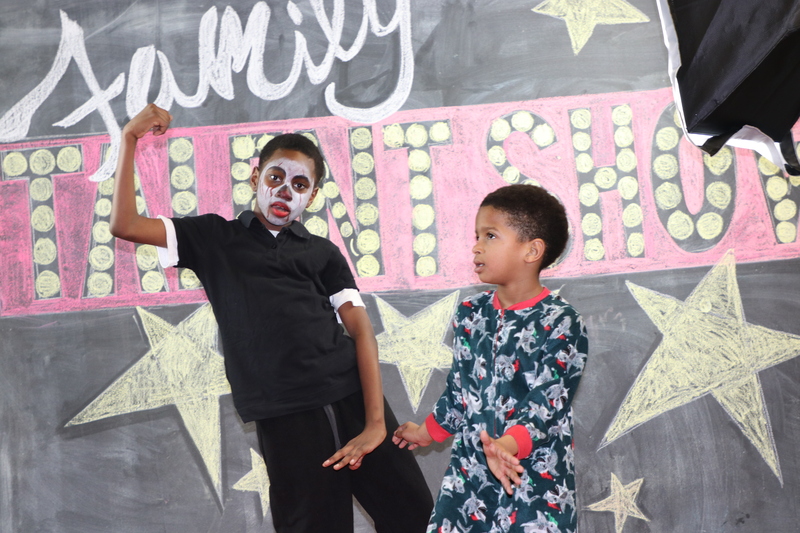 After months of rehearsals, discussions, and poster painting sessions, families and staff at Saratoga Family Residence saw their hard work come to life at a family talent show. 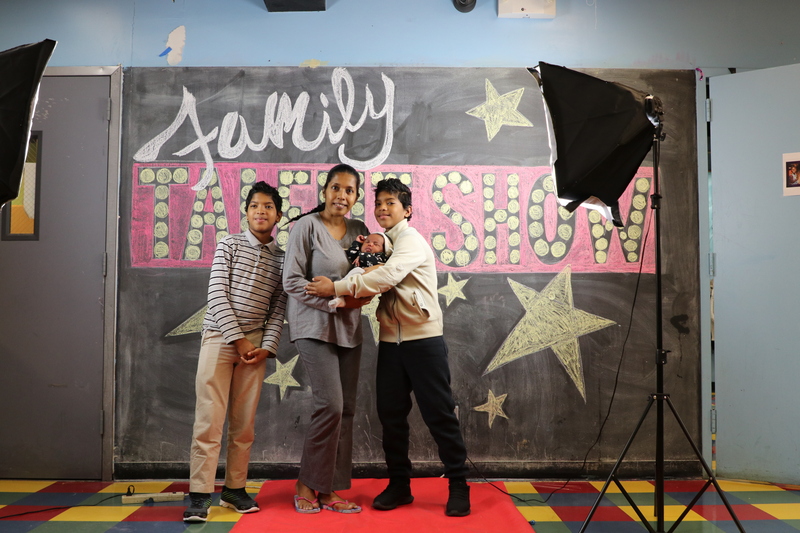 The show was planned largely in response to a request from Star P, a mother who resides at Saratoga alongside two of her sons and one grandchild. 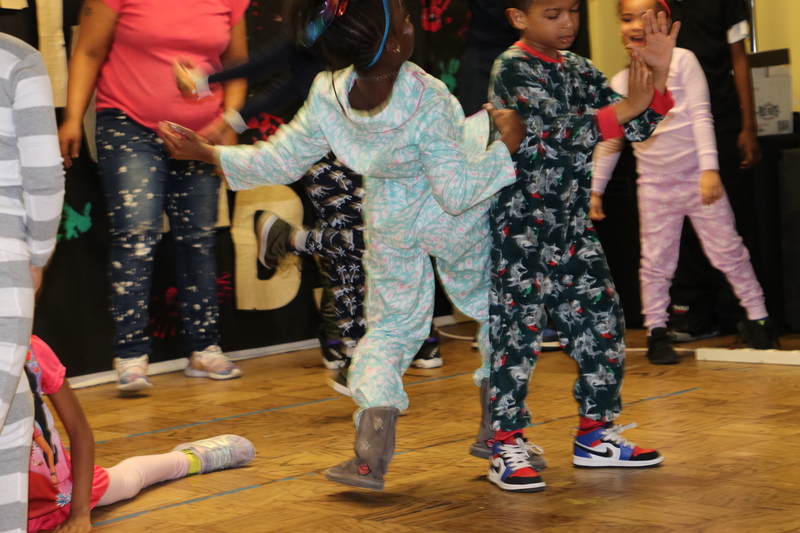 P was heavily involved in the inception, coordination, and even choreography of the show, participating in several dance numbers herself. 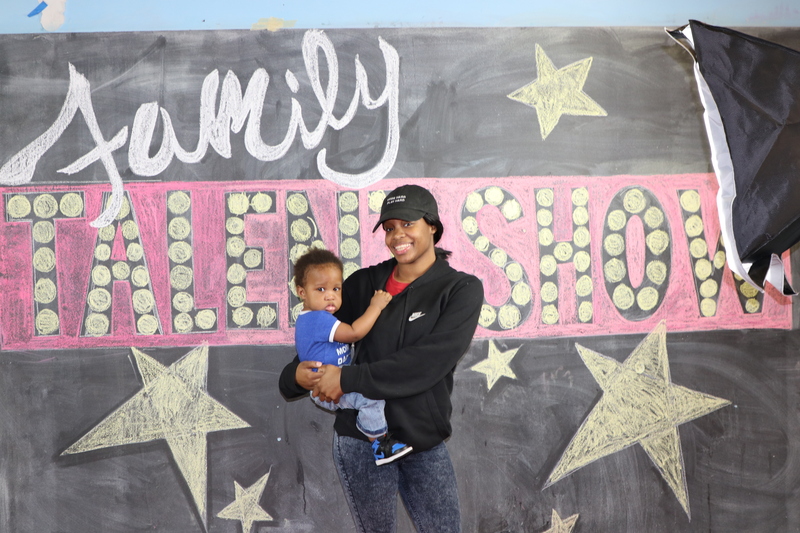 Recreation staff at Saratoga credited P’s initiative and proactive presence at Saratoga with helping to spread the word to other families throughout Saratoga and build excitement for the event. 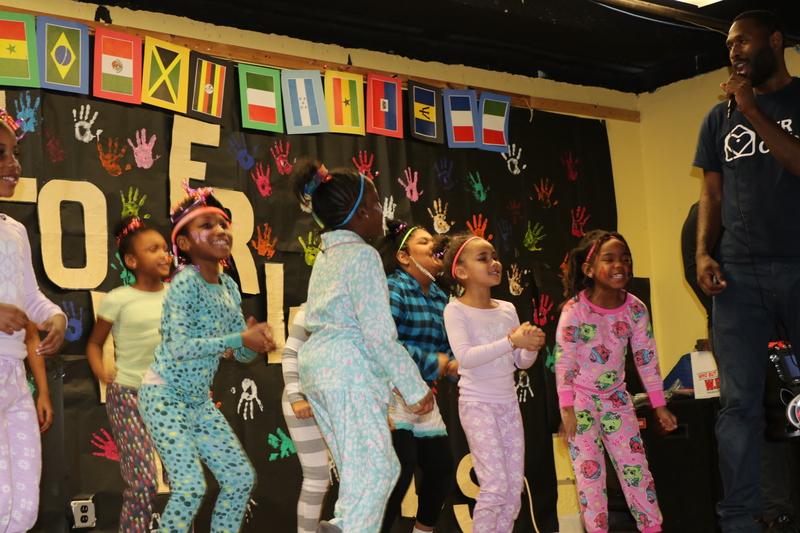 P and staff decorated the stage with banners featuring international flags intended to add festivity to an African dance number and acknowledge the diversity of families at Saratoga. 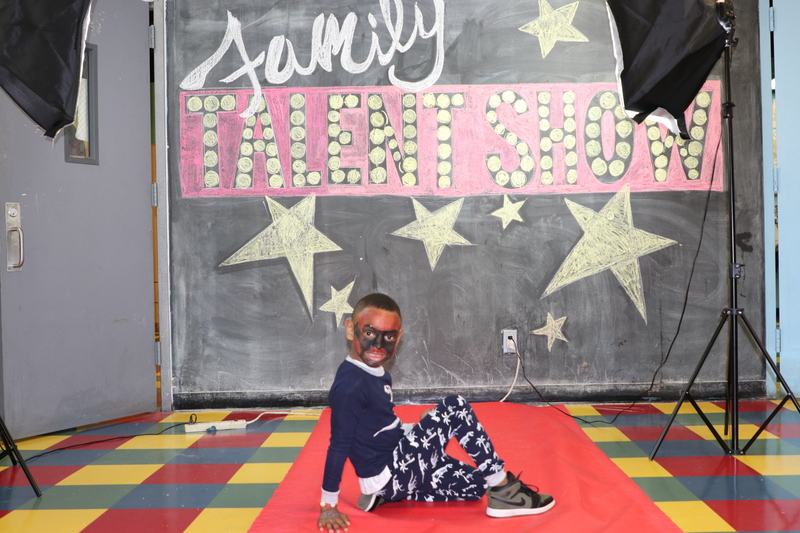 As Charles began the show, he opened the curtains to reveal a large black backdrop covered in colorful handprints and words like “love” and “family,” before shutting the lights for the first act, a glow-in-the-dark dance number. 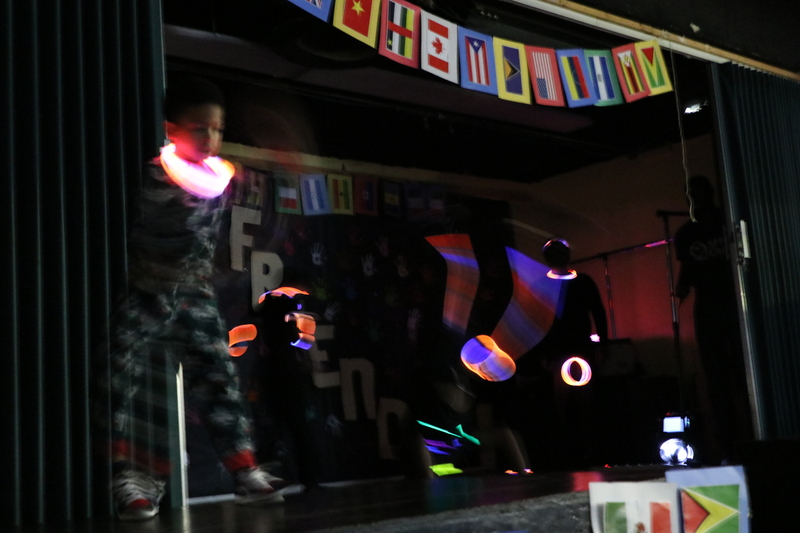 Performers attached glow-in-the-dark bracelets to their clothing, dazzling their audience as they transformed themselves into blurs of acrobatic light. 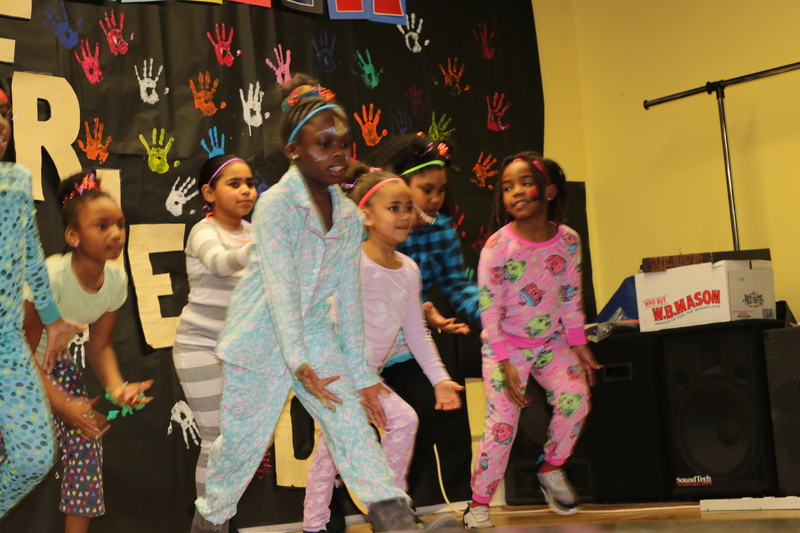 For the second act, one group of girls performed an African dance to the song “Waka Waka” by Shakira, after which they kept the audience engaged by challenging the previous performers to a spirited dance battle. 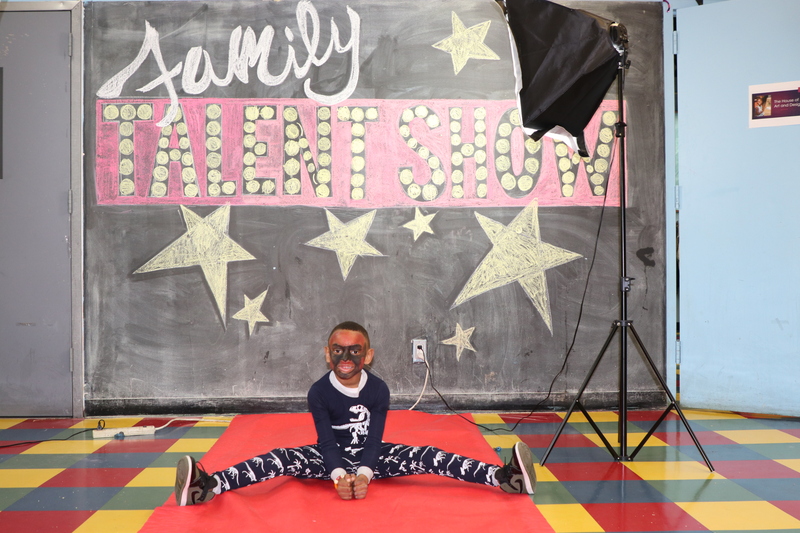 The penultimate act was a dance to the popular novelty song, “Baby Shark,” for which P invited up the youngest members of the audience to dance alongside two performers carrying two large shark cut-outs. 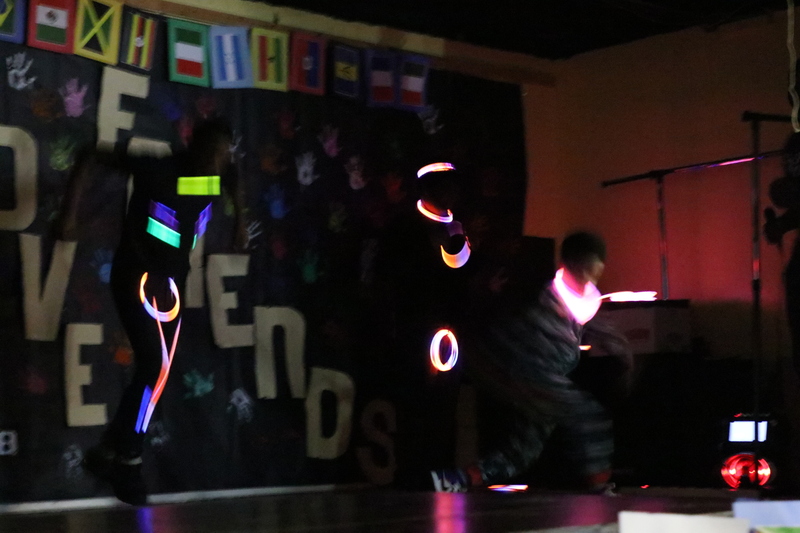 For their final act, staff once again dimmed the lights for a glow-in-the-dark dance performed by P and her son Joel, before concluding with a loud round of applause and a speech thanking P for her work on the event. 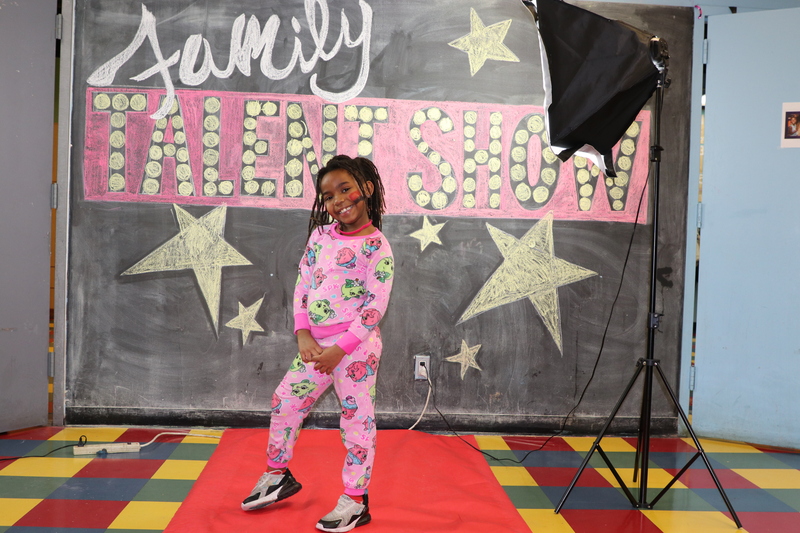 For her part, P credits the joint effort of families and staff for the show’s success. 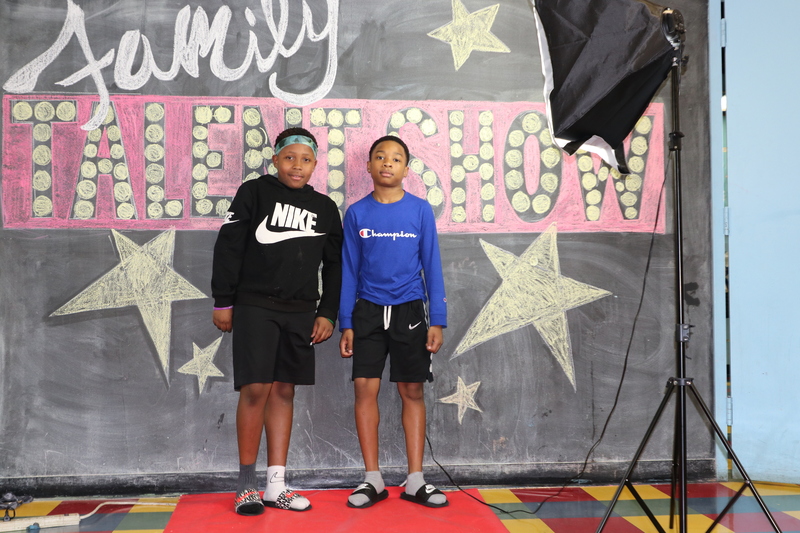 As the event winded down, proud parents and performers gathered on a red carpet in front of an attention-grabbing banner promoting the show illustrated by the talented recreation staffers. 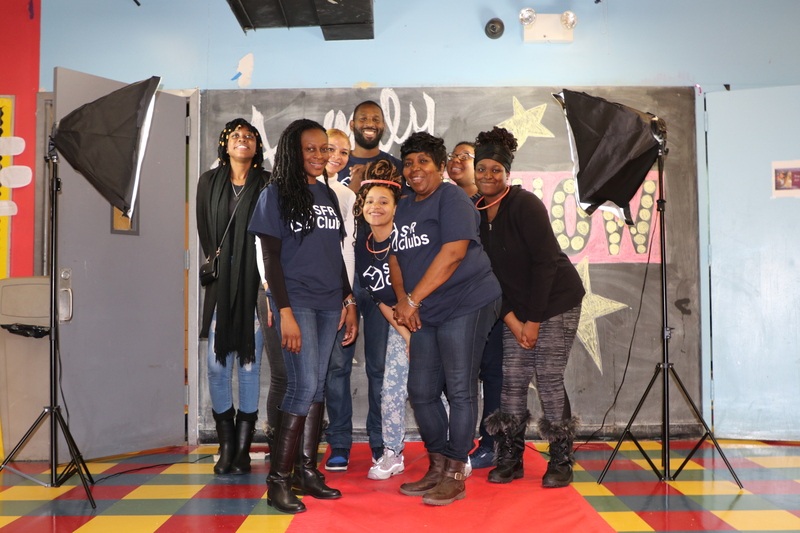 Families and friends posed together for photos in front of the banner, wearing face paint and glow-in-the-dark necklaces, eager to commemorate the afternoon. 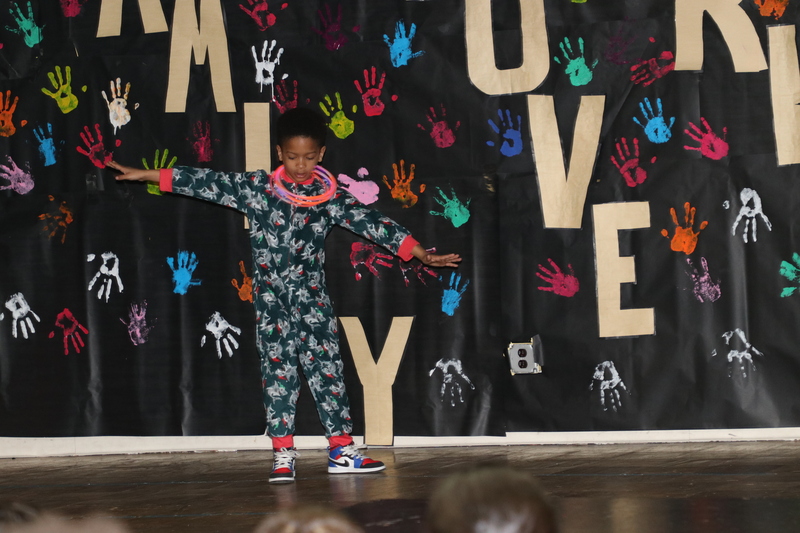 For P, the show prompted another touch of nostalgia, as she recalled participating in similar events as a child.